THE FLASH BY MARK WAID BOOK FOUR cover by Mike Wieringo, José Marzán, Jr.
After the events of ZERO HOUR, the Flash—a.k.a. Wally West—gets a glimpse of the future and doesn’t like what he sees! Meanwhile he and Impulse have a rematch with Kobra’s forces. 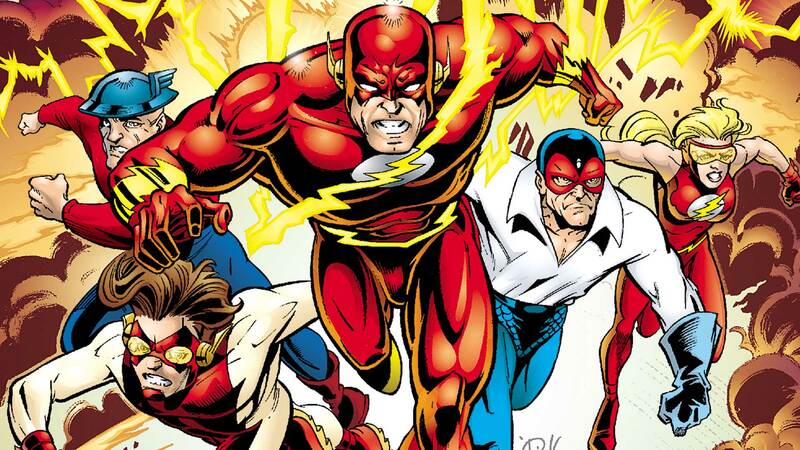 But something seems off about Wally’s speed, which leaves him looking not quite like himself. But even as he tries to deal with his own personal problems, issues with Impulse begin to arise and Wally must seek out the help of Max Mercury. Collects THE FLASH #0 and #95-105 and THE FLASH ANNUAL #8. Cover by: Mike Wieringo, José Marzán, Jr.